Enter your email address below to receive a notification when Notúre starts accepting new sign-ups! Enter your email address below to receive a notification when Notúre is accepting new sign-ups again. We ship on or about the 25th of each month. 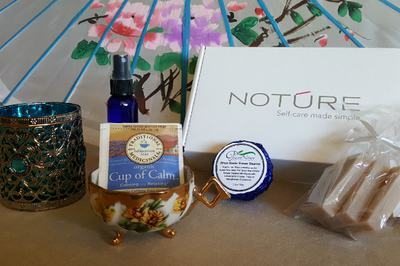 The self-care enthusiasts at Notúre are all about helping busy women simplify. We take the time and guesswork out of finding the very best self-care products and unique gifts for you. 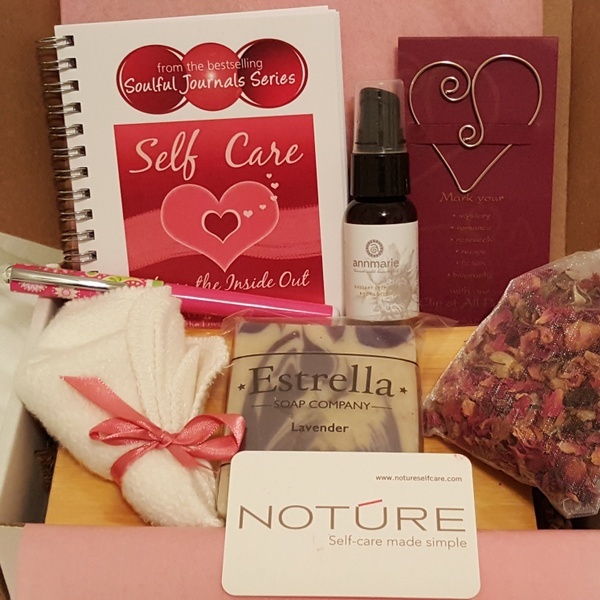 We lovingly curate our boxes for your ultimate 'me time' experience and deliver them right to your door every month. That way you can't forget to take care of you! I've been a forever fan of self-pampering forever and have introduced friends and family to many experiences like massage and products over the years. However, Noture's dynamic co-founders, Colleen and Gina, have a keen intuitive sense for what would delight anyone when they open up the box. Everything --from the lip balm to the bamboo washcloth to the candle and more-- was a surprise that I've so ENJOYED! One of the many things I loved about the box I received from noture was that I didn’t have to go shopping for it. The goodies inside were a delicious experience that took me from the stress of my everyday life to a place of peace and quiet in a very busy world. The products stimulated more than one of my senses at a time, which makes noture unique. For example, the lipgloss not only looked totally great on me (and I don't usually wear lipgloss), also contained the aroma of peppermint so it encouraged me to breathe deeply while simultaneously feeling a delightful tingling sensation on my lips. It's a true keeper! The candle that also served as hand lotion was amazing and a fun, unique experience. 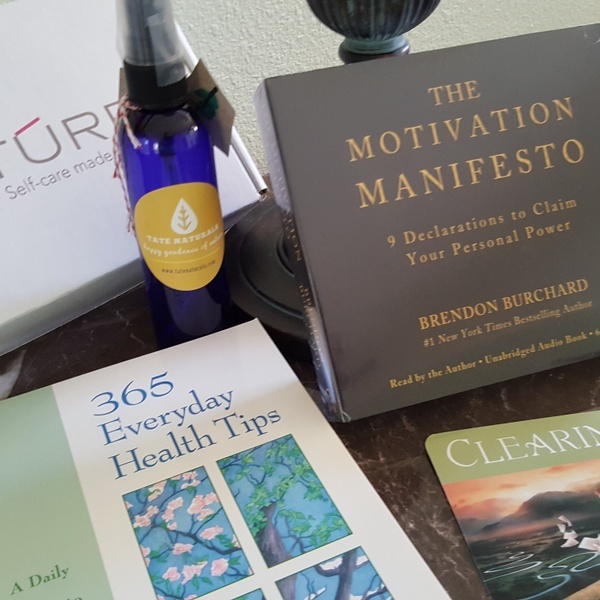 There were many other products in my box that gave me the pause that I needed in my day to re-group and take care of myself, even if it was just for a minute. I highly recommend Noture to anyone who has a busy life and still has self-care as a priority. 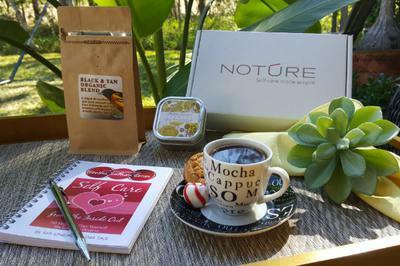 Delight and amazement, my senses awakened as I opened the beautiful packaging and explored the contents of my Noture Box. "No way!" I said aloud as I read about the candle as a moisturizer! A warm moisturizer in the guise of glowing, fragrant light. WOW! For a moment I was transported back in time to my childhood, only now I have good reason to dip a finger into the melting pool of wax... it's not wax! I lit the candle right away and enjoyed unwrapping the soap, wooden dish, soft white facial cloth tied with a delicate pink satin ribbon. Lip moisture glided on in a glistening rose tint that made me feel pampered, beautiful. The first of many glorious afternoons to come, brilliance in a box! I never knew how much I loved surprises until this amazing box came in the mail. How did I ever live without such luxurious items for my body, mind, and soul? I can't wait to see what comes next month!!! Each item is truly a delight for each of my senses. A family member gave this to a long time friend as a gift and she was so pleased with the quality of the items she received in her box. She said, "Wow! This is really good stuff!" 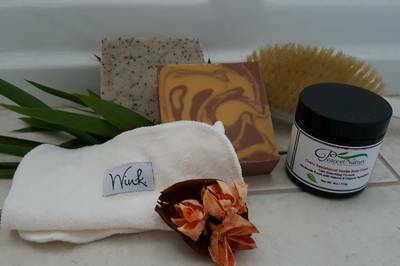 She had not used natural or organic products before and now she has vowed to toss out the old in favor of trying new products that are better for her body, mind and spirit. She is proof that you can change old habits into new better ones at any age. Loving Noture!!! 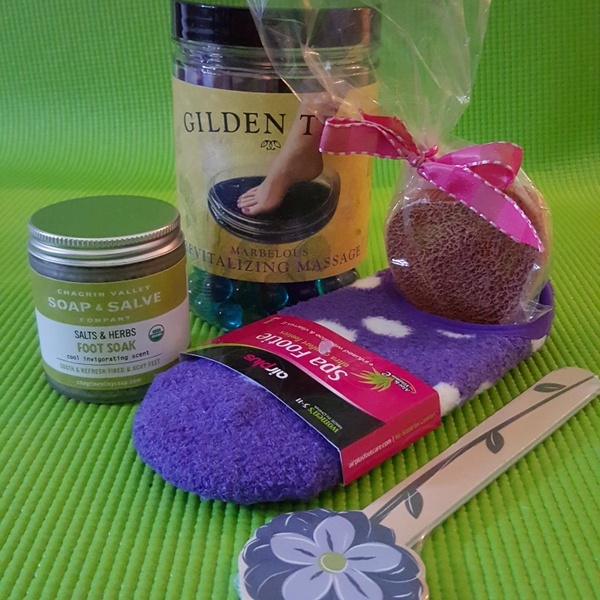 This month's box is all about restoring your foundation - your feet! Foot bath with marbles for an invigorating renewal, foot salve, etc. A sampling of our self-care goodness! 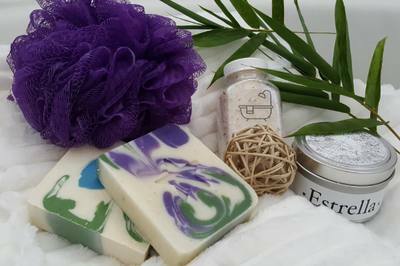 Rosebuds for your bath, journal w/pen & handmade bookmark, luxurious soap, bamboo washcloth, etc. Knowledge is power - what will you discover about yourself with these amazing gifts? !